We rely on our unadulterated sound and our solid, tight vocal harmonies to reproduce the Beatles' legacy, note-for-note! You will hear a sampling of Beatles songs spanning their entire career which always leaves crowds cheering for more! We don't wear wigs however our show begins with early Beatles show, then through A Hard Days Night and continues with the mania of our Shea Stadium jackets, then threw Sgt. Pepper with our Pepper jackets and then with our psychedelic shirts as a Magical Mystery Tour then we culminate with the a rooftop performance! Penny Lane's repertoire features all singles and favorite songs from every major Beatles’ album release. With more tunes added all the time. It's A Splendid Time Is Guaranteed For All! 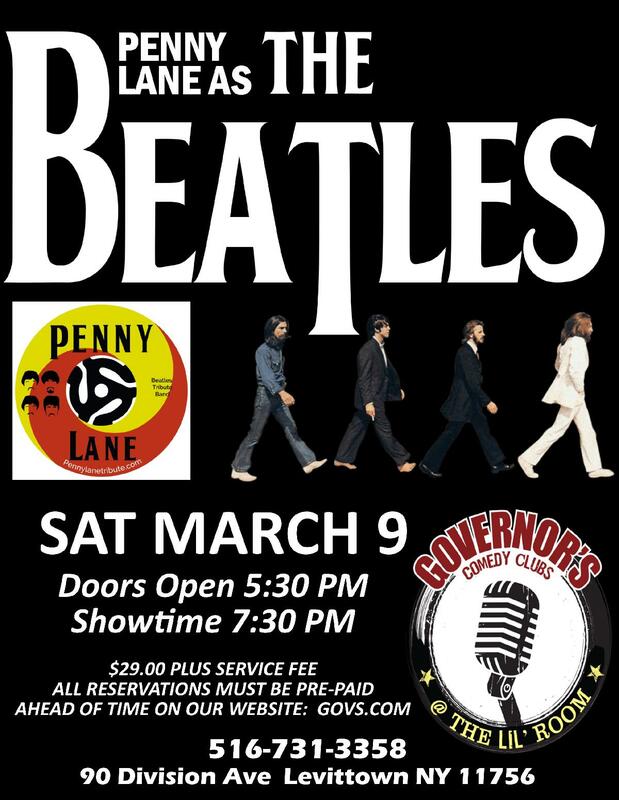 Come to witness the Beatles' music as you recalled it by taking a Magical Mystery Tour with PENNY LANE! !